Curved to glass to metal…start to finish. 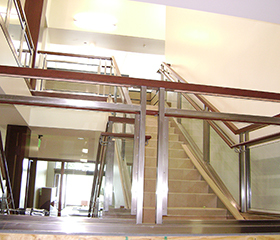 Metal railing systems custom fabricated to your construction needs. We can field measure to ensure a precise fit, adhere to the latest compliance codes, design, engineer, fabricate, and install. 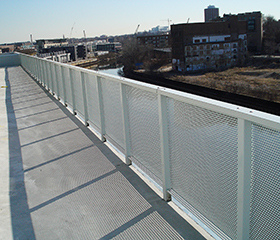 Glass railing is one of the contemporary standards. 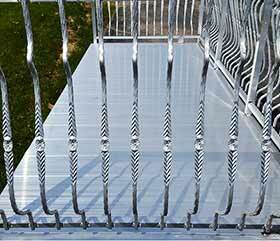 Aluminum railing is long lasting, powder coating allows for many color options. 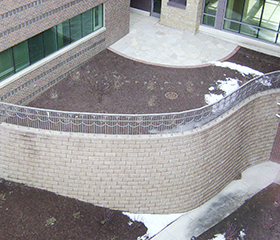 Our precise field measuring results in close install tolerances. We began with ornamental metal fabrication, so design ideas are welcomed. I wanted to thank you for your efforts on this job. It was a tough hand rail to complete in a normal time frame, but you were able to do it with the ridiculously compressed schedule that was required. Great work, and I look forward to future jobs with you guys!